Truly a wonderful depiction of the cultural diversity of India, the Golden Triangle is all about wonderful architectures, bustling bazaars, sumptuous food, colorful traditions and much more. It is a wonderful introduction to some of the best sights and sounds of India in just one vacation. Slightly chaotic and noisy but the flamboyant liveliness surely charms you to come here again and then again. What cities does the Golden Triangle comprises? Comprising of Delhi, Agra and Jaipur, the Golden Triangle route is named so because when travelled in the same order, they form the shape of a triangle on the map. 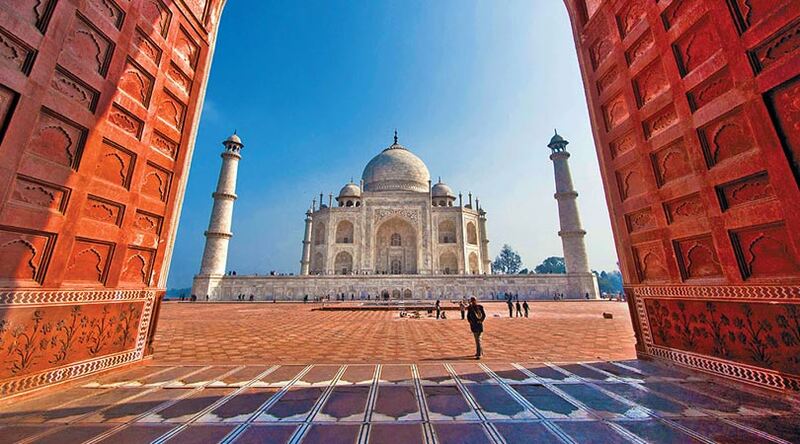 Beginning the journey from the national capital, Delhi, travelling to Agra in Uttar Pradesh and then Jaipur in Rajasthan, it is one of the most travelled path by tourists from all across. 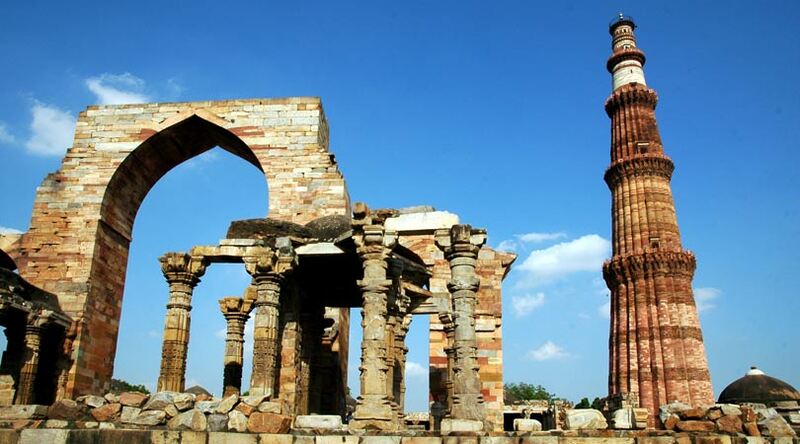 This tour has been termed ‘Golden’ due to the various remarkable historical and religious sights in these three places. Shopping and food are the other two highlights. In most of the cases, the tour begins from Delhi as maximum number of international flights arrive here. The charm of this city can allure you to stay here for weeks. There are several important things to do in Delhi including the magnificent Red Fort by the Mughals, the huge Humayun’s Tomb, the gigantic Qutub Minar or the India Gate from the British Raj. Chandni Chowk market of Old Delhi is not to be missed. This bustling market has everything you can think of including jewelry, clothes etc. Another popular market is Paharganj. New Delhi region is complete contrast to Old Delhi and has high-rising buildings, temples, malls, discotheques and much more. As we continue to the Mughal city of Agra, there is the extraordinary Taj Mahal, one of the ‘Seven Wonders of the World’, a display of magnificence and opulence. Visiting it during sunrise and sunset is the best. 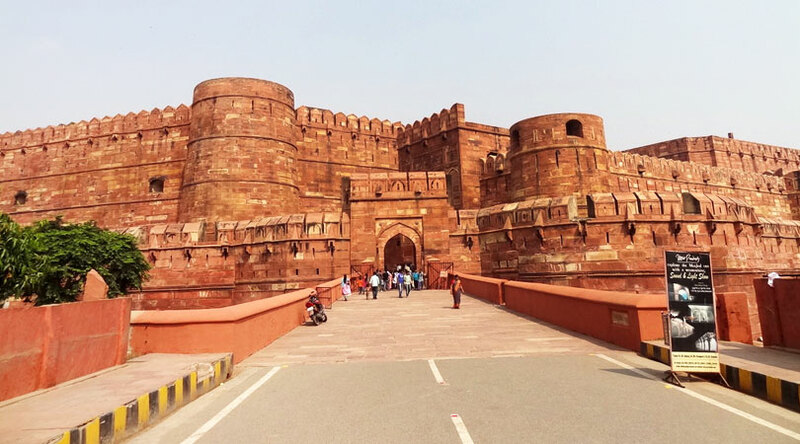 Located nearby, Agra Fort is another site that must be explored. Later, you can visit the bustling local bazaars of Agra. 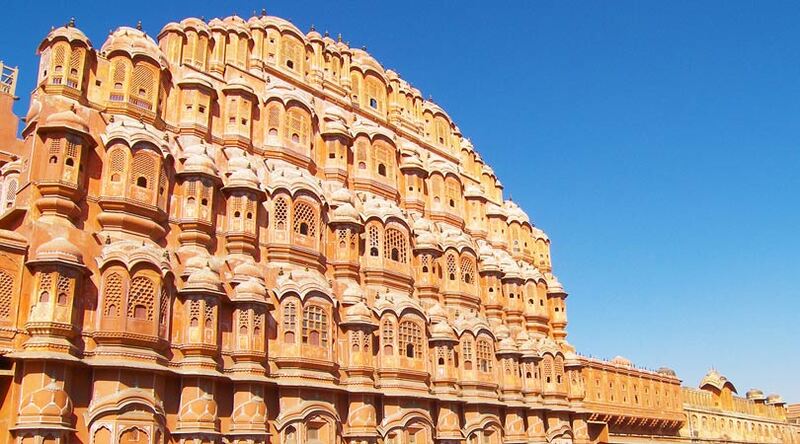 The last destination is the beautiful Jaipur, which is also the capital of the royal Rajasthan state. The city is called Pink City because of its pink colored groups of buildings. The city has several other wonderful structures including the splendid City Palace complex, Hawa Mahal and the wonderful Jantar Mantar Observatory. Do not forget to shop for some wonderful fabrics, handicrafts and jewelry here. What if a person wants to avoid the crowd? Well, it is almost impossible to avoid crowd in these very popular Golden triangle cities. These Indian destinations are thronged by not only foreigner but also domestic tourists. This crowd adds to the charm. However, if you really wish to have some peaceful time, you can visit the religious sites belonging to Hinduism, Islam and Sikhism. These cities have various such peaceful sites, which are architectural gems too. 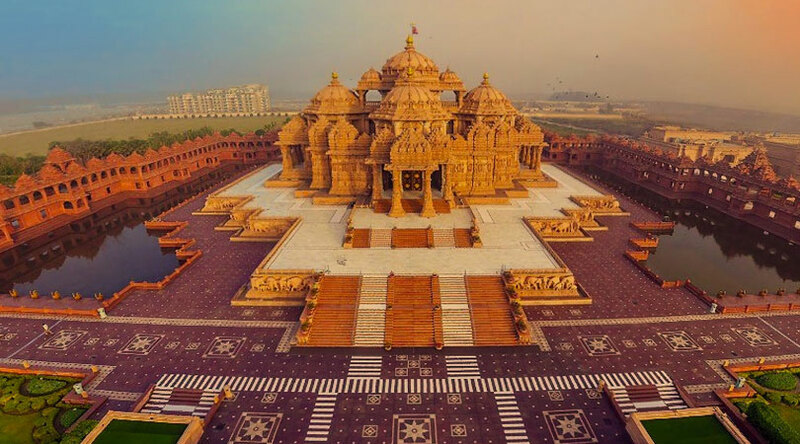 In Delhi, two of such sites are the Lotus Temple (Baha’i temple of worship) and Swaminarayan Akshardham temple, away from the hustle-bustle of the city. Both of these temple complexes have lush well-maintained gardens and fountains. Lotus temple has a huge meditation hall where you can forget everything and just relax. Likewise in Akshardham temple, no cellphones are allowed. Similarly in Agra, if you have explored the Agra Fort and the Taj Mahal, filled with hundreds of tourists, there is another option for you. 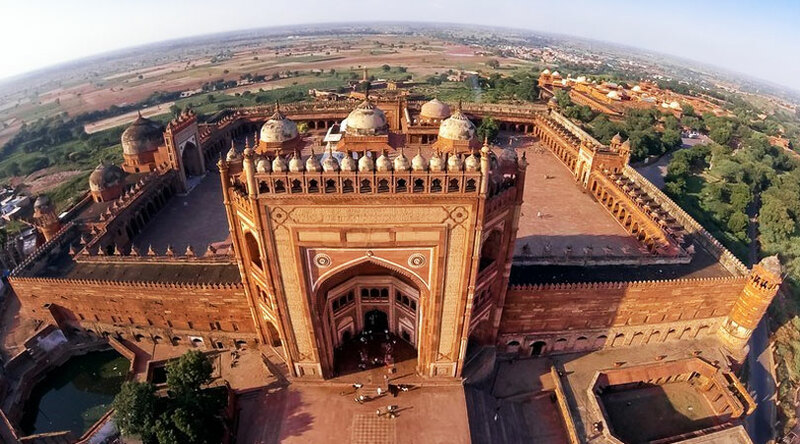 Plan a day’s excursion to the Fatehpur Sikri complex, a few kilometers away from the city. This small city was once the Mughal capital. It has various palaces, huge entry gates, mosques etc. in its complex. Jaipur too is known for its crowd but is less chaotic in comparison to the other two Golden Triangle destinations. You can pay a visit to Nahargarh Fort and Jaigarh Fort, which are less crowded. Another such similar place is Galtaji temple, around 10 km away from the main city. What’s the best way for inter-city and intra-city travel? The cities of Golden triangle route are well-connected to each other by public means of transportation. In case of budget restraints, you can travel by bus. There are private buses as well as buses run by the state tourism department. Booking can easily be done online for a number of buses. Another option is to go on-board a train, offering a wonderful typical Indian journey. It probably is the best way to savor the countryside area during the journey. Train ticket booking can be done in advance, at the train station or online, to promote any hassle. However, if you have time in hand and love road travel sans budgetary limits, you can rent a taxi for on-road travel, a memorable experience. You have the freedom to make a halt when and where you wish to. 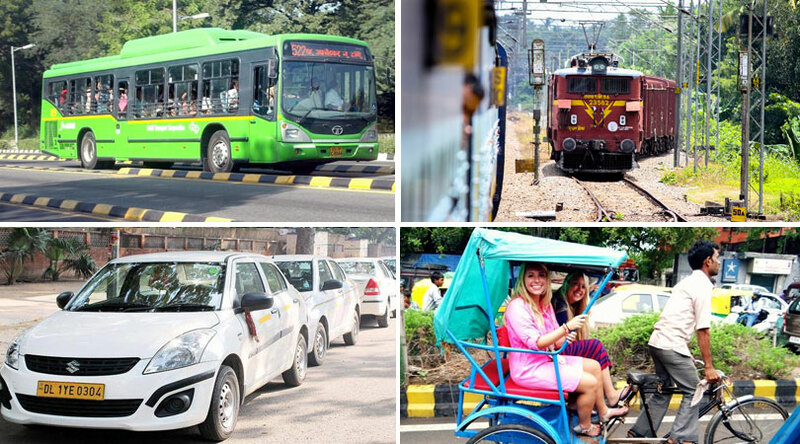 As far as travelling within the cities is concerned, there are rickshaws, battery rickshaws, auto rickshaws, local buses and cabs along with metro in Delhi. Decide the fare for everything in advance to avoid any confusion later on. How to avoid Delhi belly? It is not necessary that everyone who comes to India is going to fall ill. But, if anyone does, it is the worst thing that can happen to anyone on a vacation to another country. If one wishes to avoid ‘Delhi Belly’, it is important to completely avoid unsafe drinking water. Do not drink water that is not from water purifiers. If you still want to safe, chose to drink only bottled mineral water. 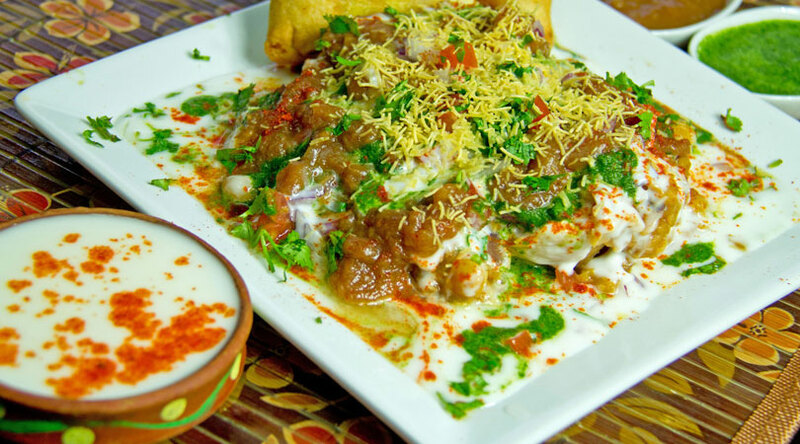 It is also important that the food which you are consuming has been freshly cooked and is hot. Avoid raw fruits, raw vegetables and food that is made unfiltered water. But, yes, the key is not to worry very much and savor what comes your way. The street food of all these cities is simply orgasmic and not to be missed.